GPA is Grade Point Average. But, for a student, it should be Good Positive Attitude towards learning. Securing high GPA is like a rat race. Most of the students start this race from the very first day at university. Whenever someone starts this race the only desired thing is good GPA. At the end, a few ones remain successful but many not. 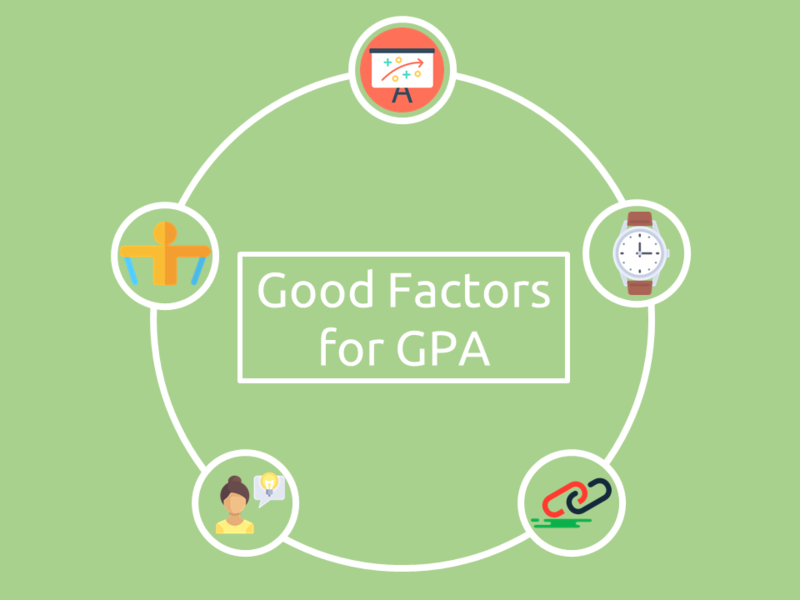 In reality, there are many factors which play their vital role just to make GPA good enough or bad enough. Parallelly, there are many problems which may derail the academic life of a student as well. One is to seek out the problems on its own in order to be a less problematic person. Above all, smartness & persistence matter a lot. Effective Study Plan plays a pivot role and like a road map to move. Because, when you have the plan to follow then you can easily go ahead. First, make a plan otherwise you will remain stuck at your initial stage. Your plan must be simple to follow, comfortable to adopt & equalizer of time. Keep in view your taste & aptitude while making your plan. Follow one plan; as too many cooks spoil food similarly, too many plans create the mess. Concise & Useful Academic Material is also necessary. So, if you will study good material ultimately your knowledge will be quite impressive & logical. Your teacher, library & internet are good sources to get data. Make book as your best friend. Punctuality will maintain your momentum so far. If you are not attending your lectures regularly, you are creating troubles for yourself. At the end, you will have a lot of things to recover from scratch; a hysteria. Attending lecture should be your habit. Active Participation during Lecture will enhance your ability to think. It will make you more confident while talking, questioning & answering. Moreover, it will furnish your expression, impression & guts. If you want to attend the class then do it actively otherwise it is wastage of time. Consistency makes you more efficient to work. It will update your knowledge. Hence, at the time of hard work, you will neither have hesitation nor have a fear to do something extra ordinary. Smart Workout is like a soul in a body. All the above factors form a body, but the soulless body has no worth at all. To make it worthy, you have to inject the soul of hard work in your body comprising all the mentioned factors. Never go for hard work but prefer smart work. Actually, smart work is nothing but hard work in right direction. Work hard & play hard! Among these, some problems are human created and other are luck based. These ordeals can easily be terminated by a little extra effort. Health Issue directly affects the GPA. A well-known proverb is; Health is a great wealth. Yes! It is. If you are feeling good, obviously you can work properly. If you are sick, first have a best possible treatment. Then, continue your daily life routine. Financial Crisis can easily be resolved by availing some scholarships available at Institute in which you are enrolled. Also, pray for not being inducted in any financial issue. Emotional Instability is the most lethal issue which a student can ever face in his/her career. To recognize this is the thing of major concern. Mostly, sub conscious mind causes the mental destruction. This thing makes us emotionally unstable. But, the method to cure this is very simple; always surrounded by positive people. Always listen good, think better & speak best. So, look around yourself, if you are surrounded by negative people then leave them. Laziness is human dependent totally. One should make compromise over luxuries. Do rest when you complete your necessary task. Misconception regarding Difficulty Level of Subject/Instructor is an issue which new comers mostly feel. No doubt, every subject is not the easy one and methodology of every teacher is not the synchronizing one. The best way to handle this situation is to seek knowledge from the other sources rather than to give up. Favoritism also plays role in securing good points, if occur. It may pin stars to your collar. So, hope for best and prepare for worst. Negative Attitude towards Learning can bound your approach in the era of advancement. Fix mind sets can never make unusual decisions. Seek knowledge from anywhere at any time. If you are with low GPA then try to learn a lot but if your GPA is already high then be cooperative with the fore ones. Above facts are totally based upon what a student really face in during its academic career to secure good GPA. Obviously, hurdles are there but to get through these is real ability. So, believe in your abilities as much as you can. Self-confidence is an essence to success. In above-mentioned things, nothing is difficult. It only requires a lot of practice. All the students have the same brain but the utility of brain makes the difference. Your smartness in studies will be reflected in the result at the end. No hill is difficult to climb. See you at the top. Critical reviews of this will highly be appreciated because it will cause improvements. So, feedback is being awaited. Very nicely concise the whole effort for the good GPA. Robert, thanks a bunch for your worthy compliment. 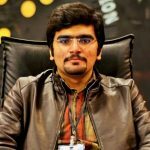 And, stay connected with Techooid.com for updated & well researched piece of knowledge.